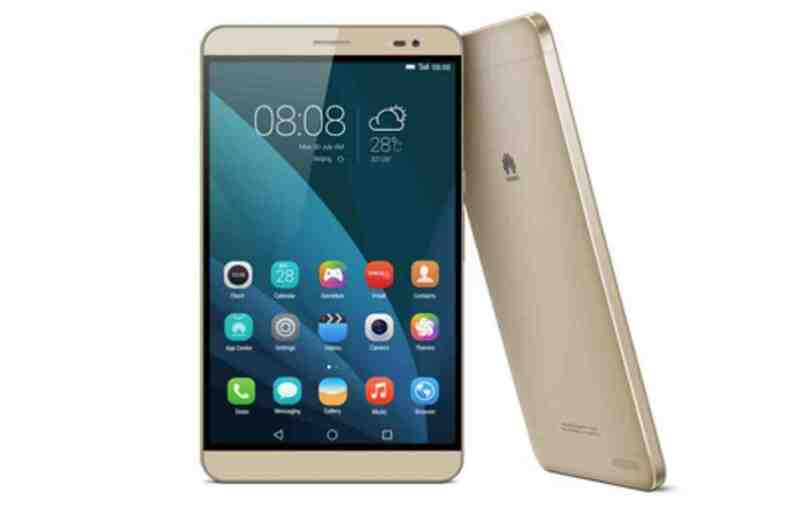 The line between smartphone and tablet continues to blur with the latest launch from Huawei. The MediaPad X2 is an update to last year's X1, and it features a 7" screen, an 8-core CPU, and LTE connectivity. Coming this summer, the MediaPad X2 runs Android 5.0 Lollipop on a 2.0GHz Kirin 930 octa-core CPU with either 2GB RAM and 16GB internal storage or 3GB/32GB. Its 7 inch IPS display has a screen resolution of 1920 x 1080, and offers a viewing angle of 178 degrees. The MediaPad X2 also has a 13MP rear camera, 5MP front-facing camera, Wifi, Bluetooth, and dual SIM card slots. Measuring just 7.28mm thin, the MediaPad X2 packs in a 5Ah battery which hauwei says can support streaming of online video for up to 12 hours,15 hours of internet surfing or 60 hours of music playing via headphones. This phablet is an update to last year's MediaPad X1, and it has a faster CPU with twice as many cores, higher speed connectivity, and runs a newer version of Android. It's due out later this year.